For many of us, our car is our second home. We spend time in the car going to work, with friends and family, eating, and sometimes even sleeping. There’s nothing worse than having a boring car. You spend so much time in your car. When your car doesn’t feel exciting, you’re doomed to spend many hours cruising along without any spark. In this article, we’ve rounded up five of the coolest car accessories on the market today so that you can evaluate which one is the right one for you. No matter which accessory you choose, you’ll find that all of them hold something compelling to add to your vehicle. 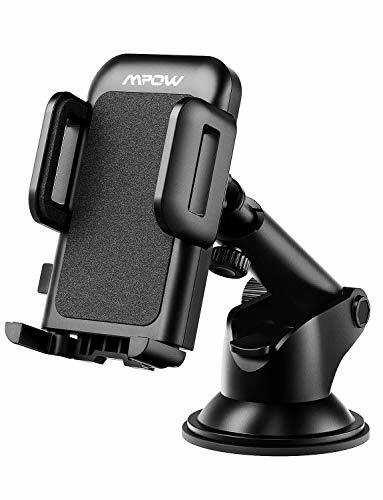 The Mpow Car Phone Mount is an essential and exciting accessory that your car sorely needs. Especially if you don’t already have a mount which allows your phone to sit in its spot within your car, you’re bound to have a boring and decidedly 20th-century car experience which is not as interesting as you deserve. The benefits of this car mounting system are fairly obvious. You can place your smartphone into the mount while you’re in the car, and so, as a result, you can see maps and potentially make hands free calls while you’re on the go. Don’t let this mount be the excuse you need to text message while you’re on the move, however. Even though it may be tempting because of how stable the mount is, tapping away at your phone while you’re on the go is dangerous. This mount can’t save you from yourself! What this mount can do is give yourself a more comfortable and more interesting driving experience. Especially if you plan on using your car to drive people around as part of a ridesharing app, you’ll need a mount like this to make sure that you get to where you’re trying to go. 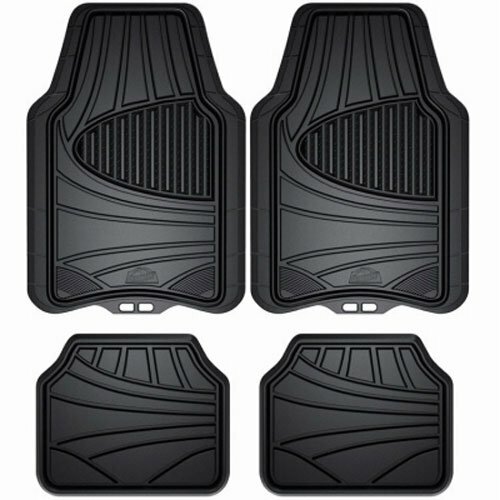 The Armor All 78840ZN 4-Piece Black All Season Rubber Floor Mat may not seem like the most enticing of the interesting car accessories on our list, but when you understand what this product can do for you, you will understand why it is compelling. In short, this car mat is immune to any dirt, mud, muck, grime, or dust. You won’t be tracking these dirty things into your car in a way that will degrade your upholstery anymore. When you bring these messes into your car, they’ll land cleanly on these mats. And once you hop out of the car, you can pop out the mats and wash them off. No more mess in the car, even during the slushy season. These mats also look very sleek and come in enough varieties of color that you should be able to find the one that is the right fit for your car. Dirty pets won’t be a nightmare anymore when you equip these floor mats. Pet hair will slide right off when you hose the mat down after popping it out. You can keep these mats in your car for as long as your car is roadworthy. The tough rubberized plastic is immune to chemical damage and regular wear and tear. It doesn’t matter how dirty you’re getting the mats; you’ll find that they keep pace with whatever you throw at them. Even if you wait a long time to clean them, they’ll still be looking as good as new when you take a minute to hose them down. And it is that simple to get them to be squeaky clean again: any garden hose and cold water will do the trick. 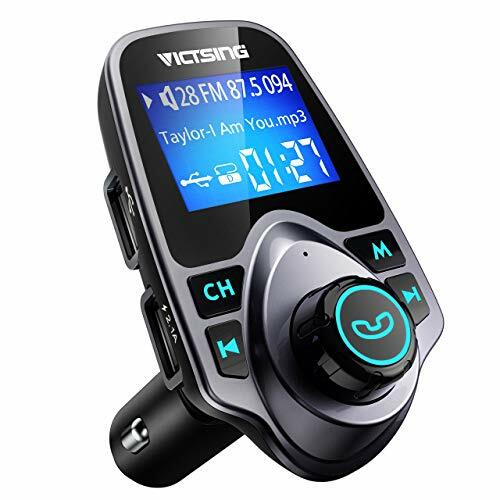 The VicTsing Bluetooth FM Transmitter for Car is a great doodad that brings a bright blue flourish to your dashboard while also giving you the capability to listen to the radio and make hands free calls. You’ll be sending your car’s sound system and communications capabilities into overdrive when you set up this unit on your dash. This accessory acts as a way to tie your car’s different electronic products into one spot so that it’s easy to control them without fiddling around while you’re driving. This means that this product is more than just a cool addition to your experience. It can also improve your car’s safety characteristics by giving you fewer opportunities to be looking down at your controls while you are trying to accomplish a task. You can keep your eyes on the road and control your car’s systems with your voice. You can play MP3 files from your phone using the Bluetooth connection, too. In fact, your phone will need to be BT compatible to make use of this accessory. For older phones, you can probably find a similar product that is wired instead of wireless, but it may not have all of the same advantages that this unit has. The Ampper Blind Spot Mirror adds an aesthetic and functional flair to your car’s mirrors. 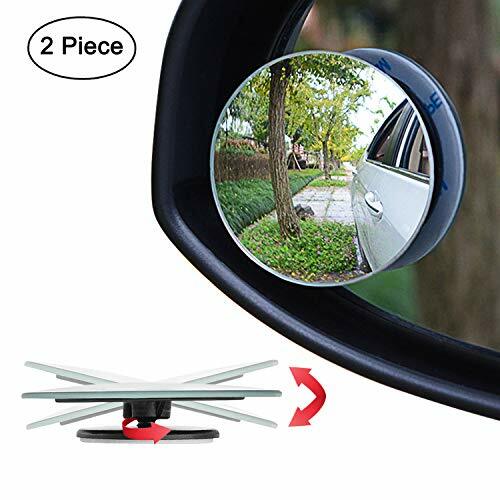 With the help of this add-on mirror, you can remove your car’s blind spots or reduce them considerably. The premise behind the mirror is simple: attach it to your other outside mirrors and point it where you don’t normally have any coverage. The package comes with two separate mirrors so that you can address the same blind spot on each side of your car. But the sky is the limit with these mirrors. They’re made for addressing blind spots symmetrically, but if you tend to struggle with one particularly intractable blind spot, you can easily point both mirrors at the same area to give yourself comprehensive coverage. The kit suggests that you mount the extra mirrors on top of your other mirrors, but you aren’t obligated to do so. So long as there is a line of sight to the blind spot and also to you, the mirrors can be set up anywhere that you please. Make sure the mirrors aren’t going to blind other drivers, though. 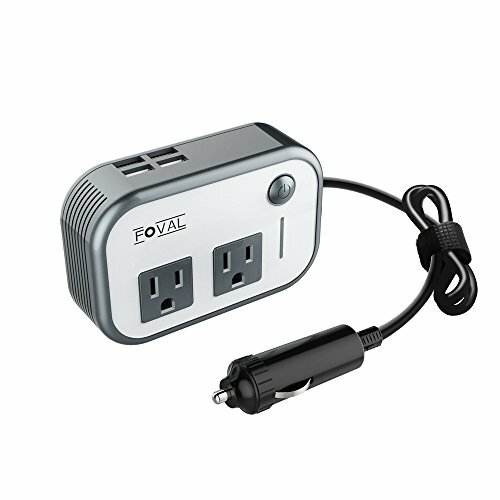 The Foval 200W Car Power Inverter DC 12V to 110V AC Converter with 4 USB Ports Charger turns your car’s cigarette lighter into a charging hub that you can plug your normal 120V wall outlet products into. This means that you don’t need to buy any other car adapters for any of your products ever again. The inverter is small, aesthetically pleasing, light, and very easy to setup and remove. The only real downside of the unit is that its power cable is very short, so you will probably only be able to charge electronics in the front seats. The unit is roughly credit card sized, so you can pack it away into your car when it isn’t in use without having to worry about it taking up too much space. When you decide to use the device, your electronics will be protected by the unit’s built-in fuses. The fuses don’t typically blow, but when they do, you’ll be grateful that it protected your equipment from minor power surges. If your unit has fuses which tend to blow more frequently, you can take advantage of the unit’s 18-month warranty or excellent customer service resources. Now that you have five great ideas for accessories to spice up your car, it’s time to set off and revolutionize your driving experience. Don’t be afraid to try out multiple different accessory options to spice things up. The best part about car accessories is that there are so many opportunities to improve your driving experience. No matter what kind of car you have, there’s always room for improvements to your ride. Keep an eye out for other interesting pickups, and you’ll never be afraid of having a boring ride ever again.